I love when food transports you. Tonight, at my brothers request, we had broiled shrimp for dinner. shrimp. None of us were sure if it was the bay seasoning, the spicy cocktail sauce or the fact that none of us had been to the beach this summer, but it tasted like magic. When my brother took the first bite, Heather and I giggled as the look of total enjoyment washed over his face. I think it was the same look that a kid gets when he tastes ice cream for the first time. 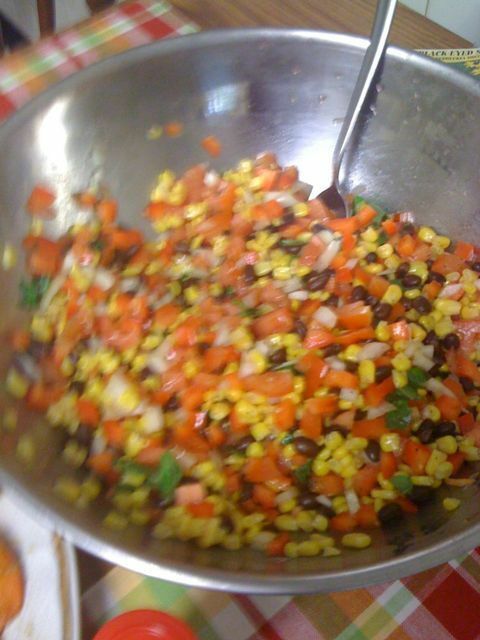 And if polishing off a pound and half of shrimp isn’t enough, I made a black bean and corn salad to go with it. The salad was full of summer flavor. 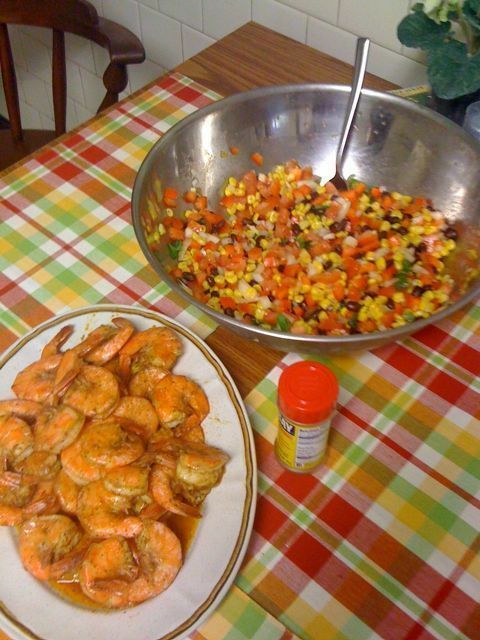 The lime juice and sweetness if the corn paired well with the spiciness of the shrimp. It was a quick meal to make too. 35 minutes for everything including a 20 minute marinade of the shrimp. For 20 minutes. 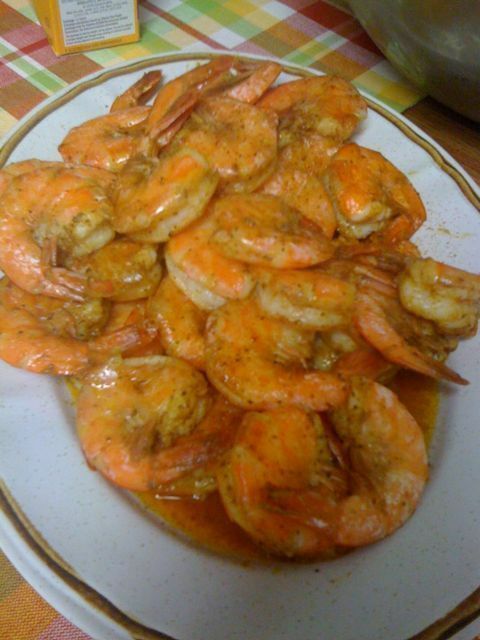 Spread shrimp onto a sheet pan and put under the broiler for 7 minutes or until the shimp turn opaque and bright pink. Toss all ingredients together and let sit for at least 15 minutes before service. I love the flavors that this meal gives you. Every aspect of the meal speaks to summer and the beach. I can’t wait for next year when we can eat this again together while we listen to the waves.